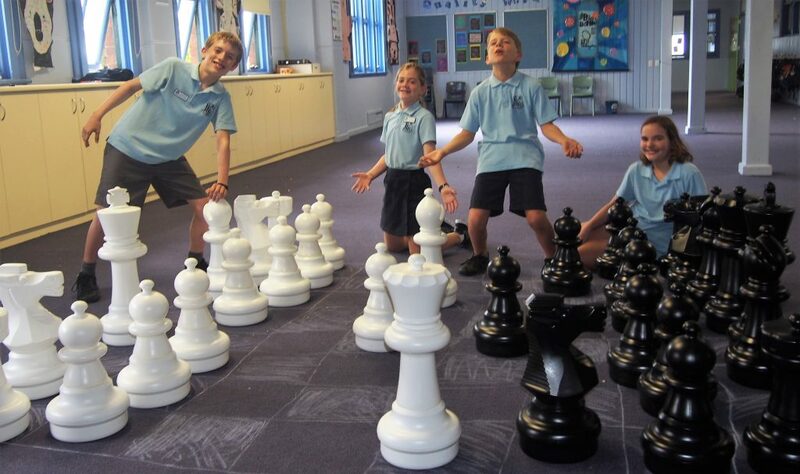 Yesterday we received a very large delivery – our new giant outdoor chess set! Thanks to all your wonderful donations and support of our Year 5/6 Fair last year, we were able to purchase this terrific new resource for students to use during break times in the playground as part of the Year 6 farewell gift. With so many keen chess players at our school, we look forward to many gigantic battles! Thank you to the Curry family for their great suggestion. Poor Oscar, checkmate in 4 moves! What a fun and successful Year 5/6 Fair we had yesterday! It was a great way to finish the term – lots of amazing stalls were run by our students including karaoke/disco, pizza, lucky dips, gladiators, water fun, ice creams, cakes, art & craft, popcorn and many more. 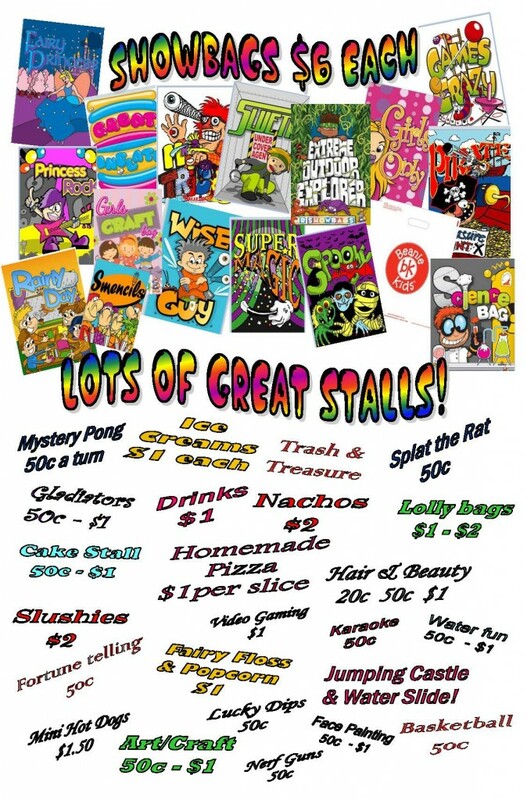 I was so proud of our student’s enthusiasm and the effort they put in to running their stalls and seeing so many smiles on the younger students faces. Thank you to everyone for their incredible support and generosity towards this event. We couldn’t have done it without you! Have a lovely and relaxing holiday and enjoy the photos below. 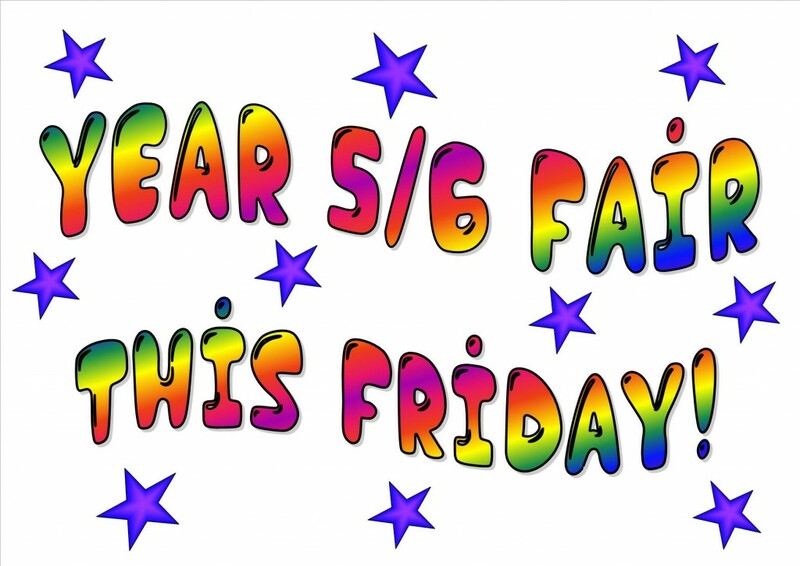 Y5/6 Fair is almost here! Thank you, thank you, thank you!! 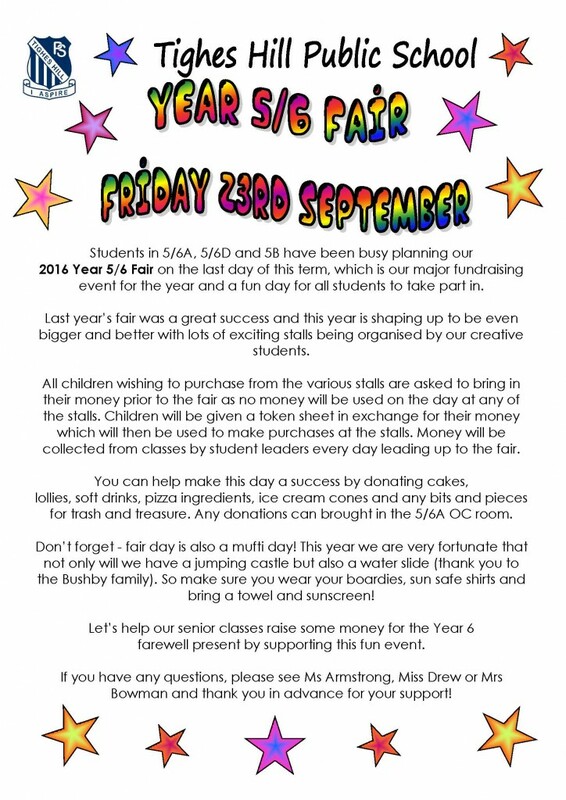 Throughout the week we have received lots of donations for our Fair. Thank you to the parents and students who have let me know that they’re bringing in perishable items on the day (cheese, ham, ice cream). With this in mind, it looks as though we will have everything we need so thank you so much for your generosity towards this event. Looking forward to a fantastic day! Only 2 weeks until the Fair! 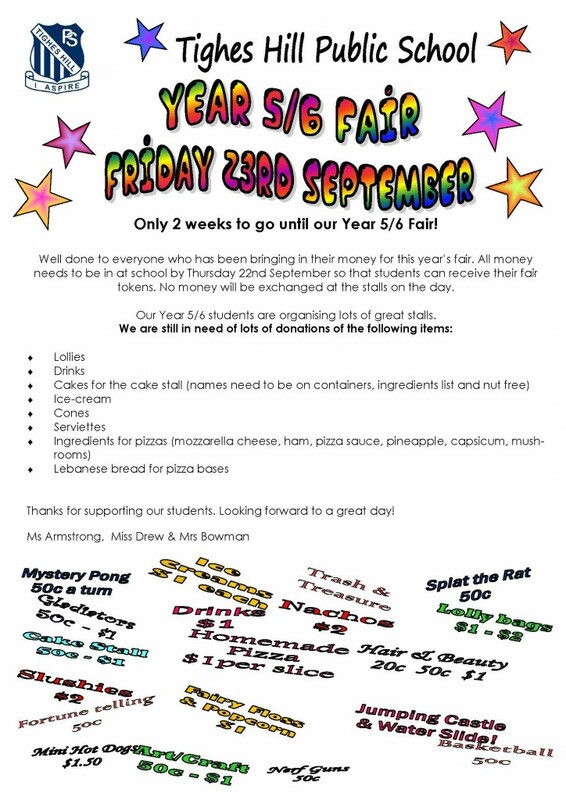 It’s time to get ready for the Y5/6 Fair! Today we got a lovely surprise when our Year 6 graduation shirts arrived. Students were quick to try on their new attire and they look terrific! Well done to Zander, who had his design chosen for the back of our shirts. Thank you to everyone who supported our Yr 5/6 Fair on the last day of term. It was a huge success, with students doing a fantastic job running their stalls and having lots of fun. 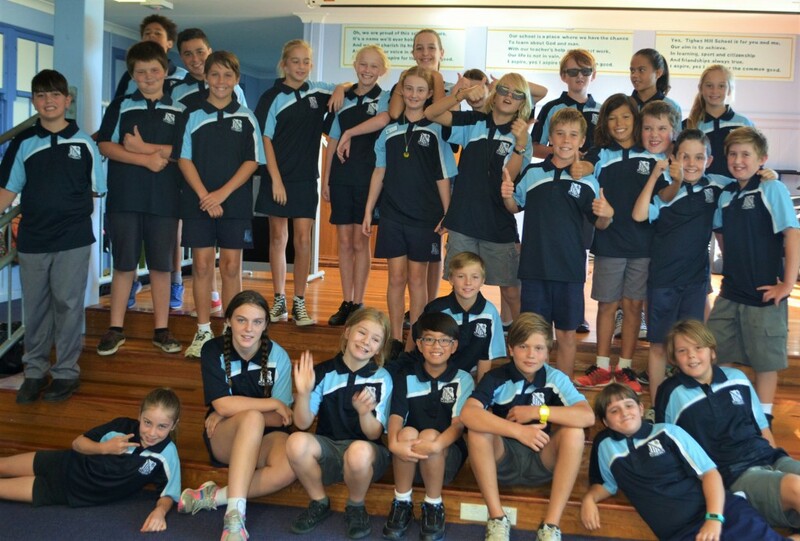 We raised over $1500 which goes towards our Yr 6 school gift and farewell. Have a look below at some of the great photos from the day. 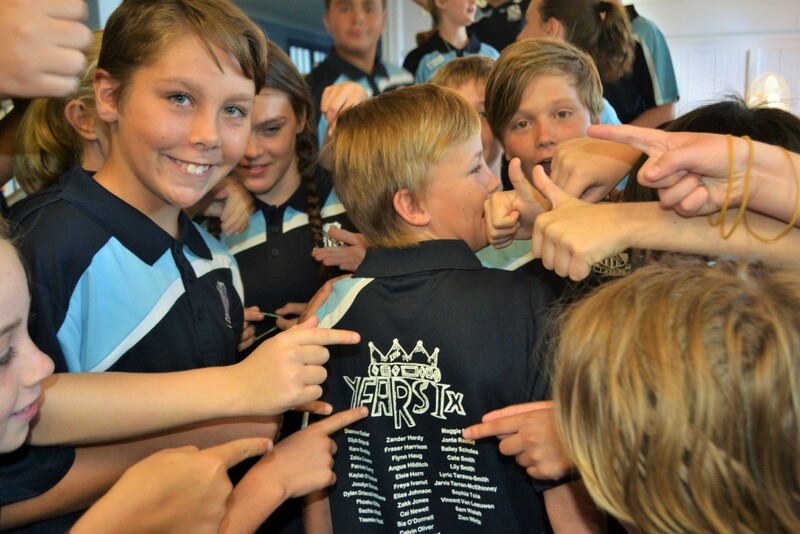 Save the date – our Year 6 Farewell is on Thursday 10th December beginning at 5.45pm. 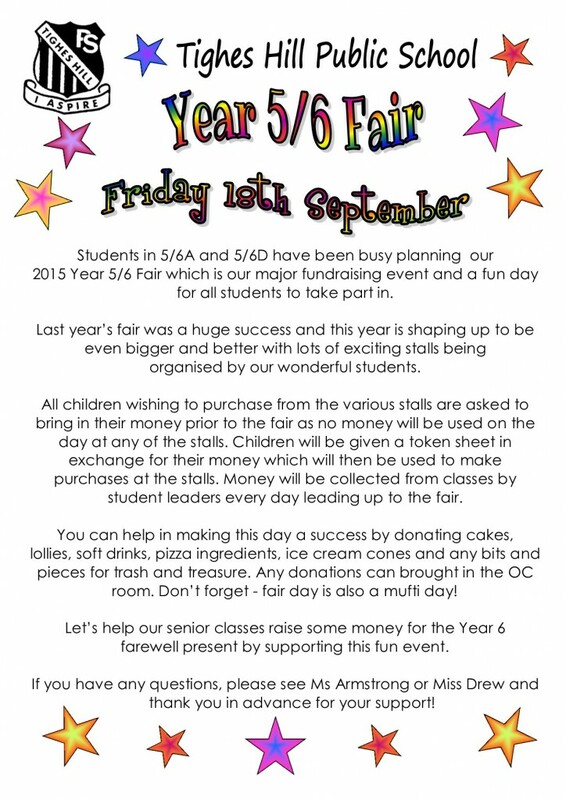 Wow – what a fair-tastic day! 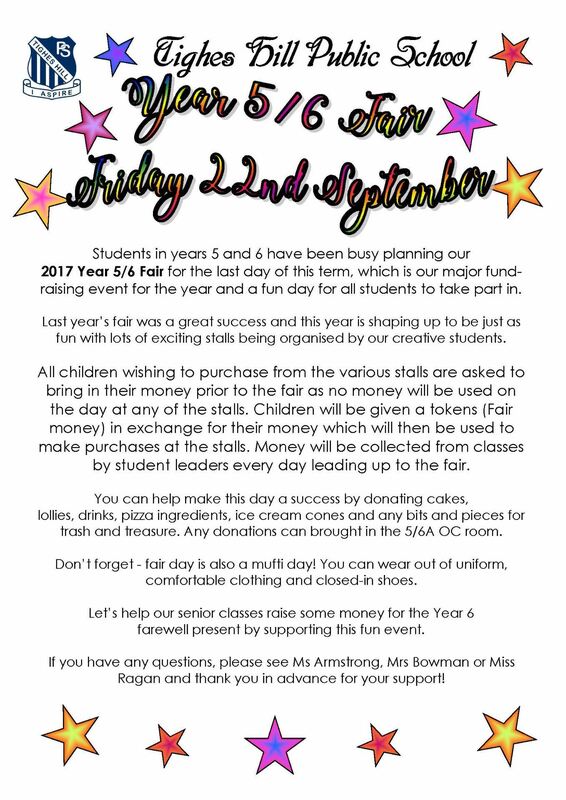 Well done to our wonderful year 5 and 6 students who did a terrific job organising and running a variety of stalls today for our fair. Despite the rainy start to the day, the weather cleared and we were able to begin the mighty set up process under the COLA. 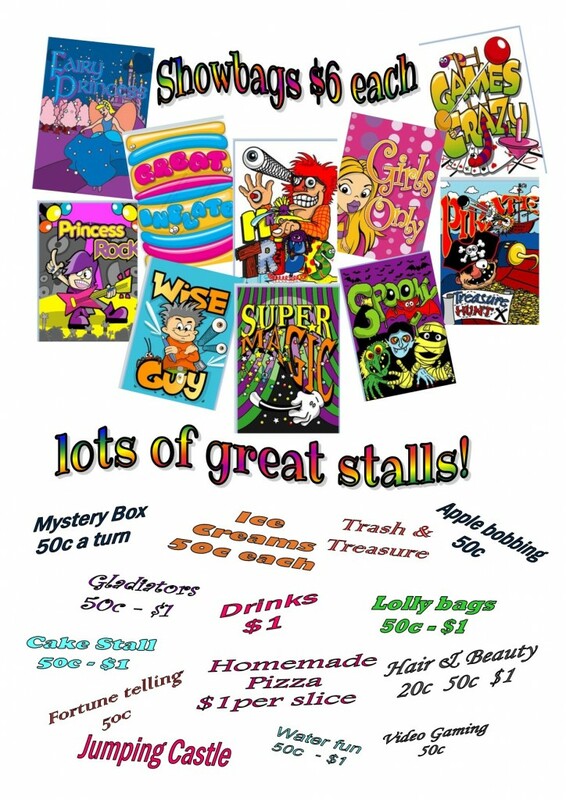 It was so great to see the efforts our students went to, creating and designing posters for their stalls and bringing in supplies and donations. Ice creams, pizza, water bombs, trash and treasure, drinks, gladiators, lollies, cupcakes, hair, nails, beauty, jumping castle, lucky dips, gaming, showbags and face painting! So many stalls and so much fun. Thanks to everyone who supported our students and this fundraising event. 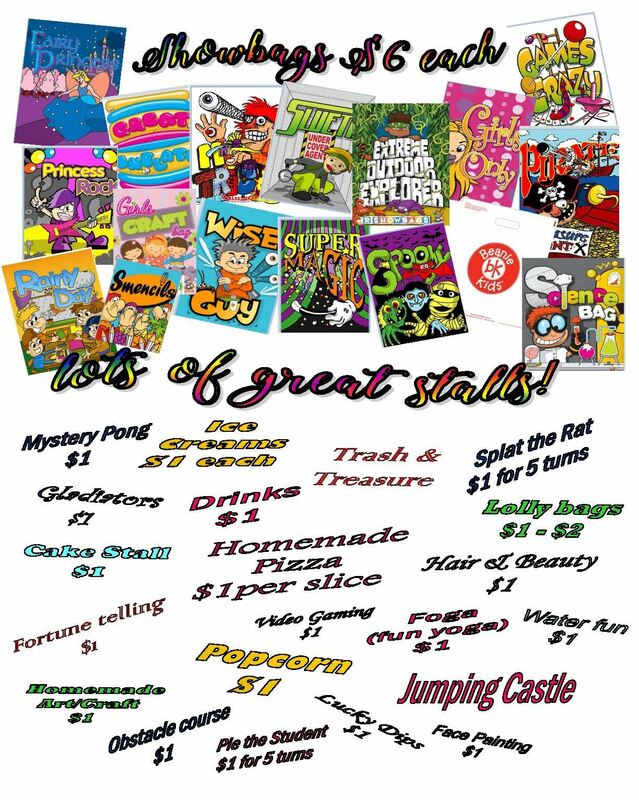 The money raised will go towards a Year 6 gift which will include some new books for our class library. Fairtastic work everyone!